Papergreat: Ephemera for Lunch #18*: "The Penna. 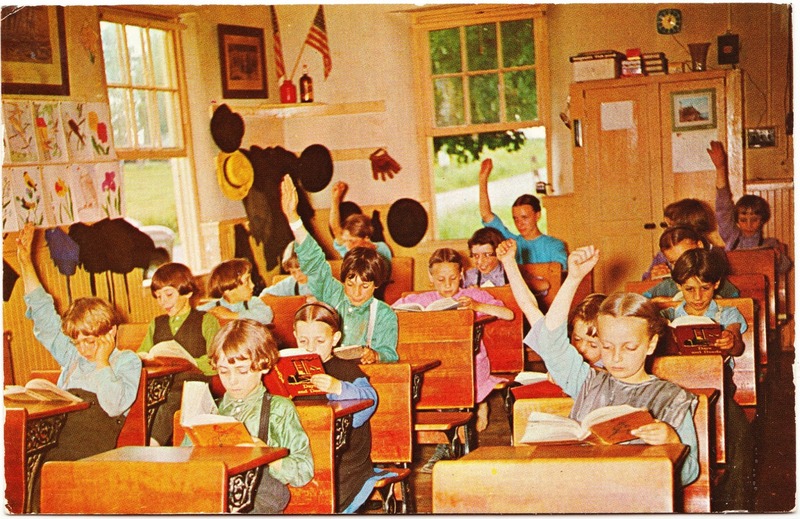 Dutch Country"
This postcard of schoolchildren in their classroom was postmarked in 1969 and was published by James E. Hess of Lancaster, Pennsylvania. "GREETINGS From 'The Penna. Dutch Country'. AMISH Children at School. The AMISH are a Religious Sect of people who have retained most of their forefather's original customs, and make their living almost solely by farming, without the use or aid of modern conveniences. They are widely settled in Eastern Penna. 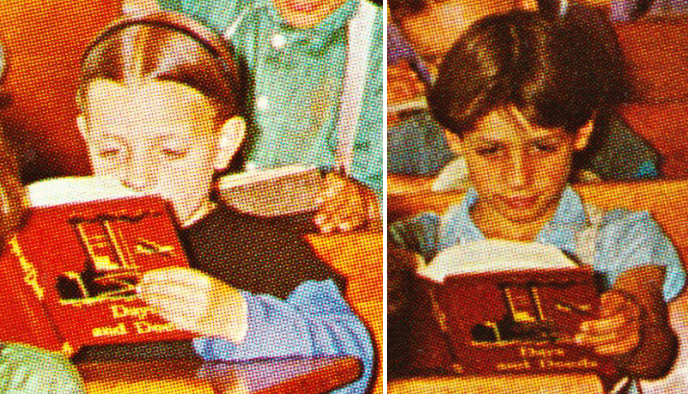 Photo by Vincent Tortora"
Upon closer examination, at least two of the schoolchildren are reading a 1947 book titled Days and Deeds, which was published by Scott, Foresman & Co.
After school, perhaps they went home to enjoy some calf's head soup, pawnhaas or tzitterli. Or maybe some schnitz and knepp.